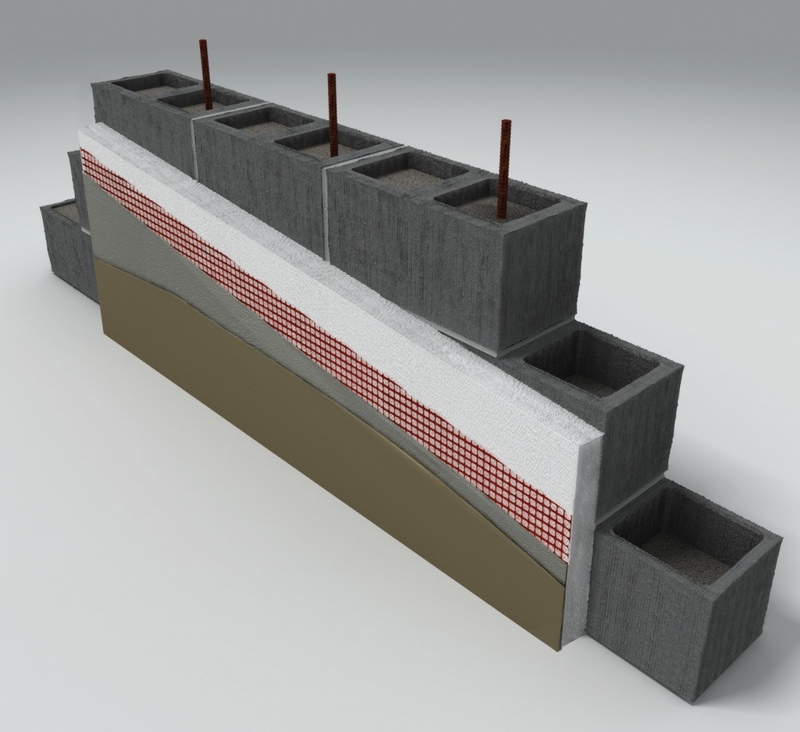 Specialized’s Masonry Wall Insulating System provides an easy means of thermally insulating concrete formwork negating the need to internally strap and line. It is a scientific fact that the external location of the EPS foam insulation puts the insulation in the best place: as far toward the outside of the building as possible where the temperature fluctuates. This reduces the amount of energy that is needed to maintain a constant temperature inside the home, and does not leave cold spots like some in-wall insulation that tends to slump over time. By insulating externally you are able to take full advantage of the thermal mass created by the blockwork. This can enable you to use simple means such as natural sunlight to heat well positioned portions of the home or if you choose to cool the interior with air conditioning it will allow the building to stay cooler for longer periods using less energy to gain the result desired. By using the thermal mass of the walls you will also help to keep the energy used to heat or cool the dwelling as low as possible ensuring the dwelling remains energy efficient throughout its entire life cycle.